SmartBot360 is a leader in health & wellness chatbots. Our team & advisors come with deep expertise and hands-on experience in the healthcare industry. We have worked closely with many startup & established healthcare companies and have dealt with most common scenarios where chatbots may be employed. As a result, we have developed core features & functionalities that can handle most of the patient engagement needs of healthcare organizations, while our scalable platform can be easily enhanced with domain-specific functionality as needed. Security and privacy have been built from the ground up and not as an afterthought. Chatbots are hosted on dedicated HIPAA-compliant cloud servers, maintained by SmartBot360 or the customer. 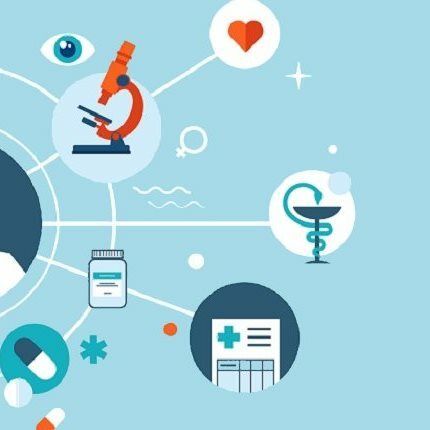 A unique capability is the seamless transition of chatbots from non-HIPAA media (Facebook Messenger, SMS) to HIPAA. For more details see our security page. In addition to extracting general-purpose entities like location, date or email from the user messages, SmartBot360 also extracts symptoms, disorders and drugs, which can then be used to define powerful healthcare-specific chatbot logic flows. In the healthcare space it is important for chatbots to seamlessly work with human specialists. SmartBot360 makes it easy to automatically route the right conversations to the right agent, and takeover conversations using the web-based Management Dashboard. SmartBot360's platform can be enhanced with custom code handling complex logic needs and external APIs extending the chatbot capabilities. SmartBot360 can be offered both as a fully managed Software-as-a-Service (SaaS) and as a Platform-as-a-Service (PaaS). For PaaS, the customer receives full access to AWS SmartBot360 instances and expert technical support to help integrate with the customer's products. SmartBot360 has experience developing & deploying chatbots that screen users for conditions or needs, such as the PHQ9 questionnaire for detecting depression.